A culture clash comedy, Why Him? contains a few over-the-top laughs but runs out of ideas quite quickly. 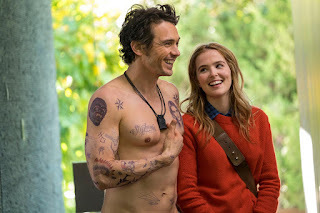 In the San Jose area, Stanford University student Stephanie Fleming (Zoey Deutch) is the girlfriend of slightly eccentric tech millionaire Laird Mayhew (James Franco). 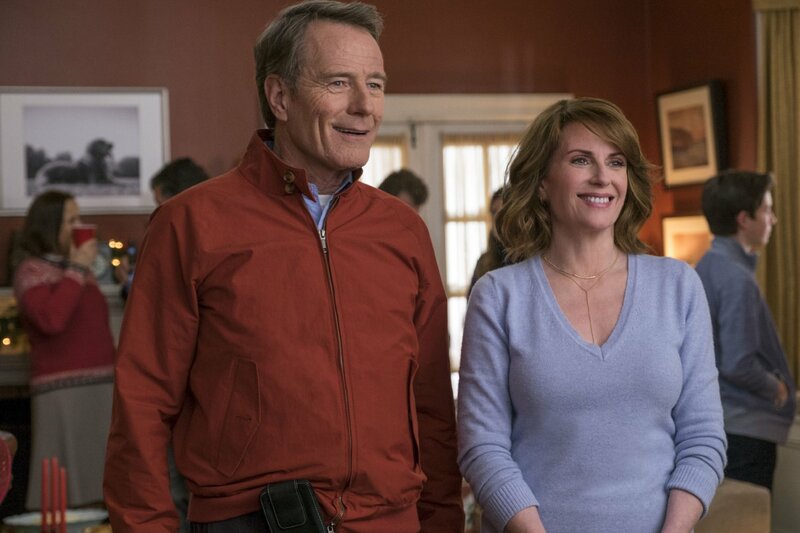 Stephanie is close with her dad Ned (Bryan Cranston), and invites him along with her mother Barb (Megan Mullally) and younger brother Scotty to come for a visit and meet Laird. The conservative Ned runs an old fashioned printing business in Michigan, and is now struggling to make ends meet. Upon arrival the Flemings are taken aback by Laird's wealth, lifestyle, gadget-filled house and constant vulgarity. However Laird is also kind hearted and honest. Despite having nothing in common, Laird insists on gaining Ned's approval to marry Stephanie. Directed by John Hamburg and co-produced by Jonah Hill and Ben Stiller (among others), Why Him? riffs on the familiar Meet The Parents theme. Here instead of the happy young couple being intimidated by overbearing parents, the tables are turned as Ned and Barb find themselves out of their depth in Laird's domain. The young (but still too old for Stephanie) tech success story is a heavily tattooed millionaire without a filter but with a dream house, and culturally on another planet from Grand Rapids, Michigan. 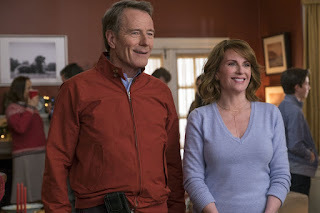 The sheer presence of James Franco letting loose as Laird is the source of most of the film's humour, with Bryan Cranston providing the perfect foil as the often speechless Ned. They clash over food, language, money, technology, and Stephanie's future career plans, with Ned never finding a level of comfort and Laird mostly wondering what all the fuss is about. The cast also includes Keegan-Michael Key as Gustav, Laird's friend, sparring partner and house manager. His presence never quite clicks, in a sign of the film's lack of depth. Once the tone is set in the first third Why Him? starts to lose momentum. Few new elements are introduced, several concepts are half-baked and abandoned altogether, and many of the vulgar jokes loop for the third and fourth time. A hacking sub-plot is hurriedly introduced to no great purpose, and Hamburg blandly steers the movie towards familiar platitudes, without answering questions as to why a profanity-laden comedy would seek a cuddly family-friendly resolution. Why Him? laughs at mutually incompatible first impressions, but does not progress much beyond that.